Up from the depths, thirty stories high...it's not a monster, it is a monster grinder! 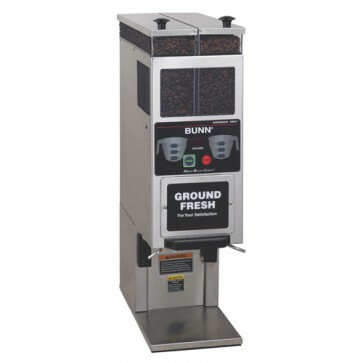 The BUNN G9 2T DBC Commercial Coffee Grinder will lay waste to fresh whole coffee beans rendering them sufficiently pulverized and ready to brew. No need to fear, the BrewWISE interface puts you in control. Compatible with other BUNN BrewWISE coffeemakers, operate any combination of equipment error-free with wireless brewer-grinder interface.